If there is one thing you can count on, it’s that Jimmi Wingert ’s work will rise to the occasion. 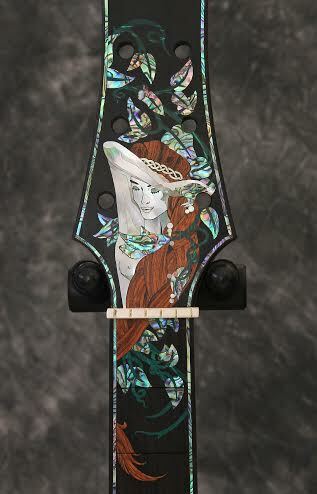 Skill and imagination dance off of Wingert’s fingertips as a custom inlay artist and the result is nothing short of dazzling. Her intricate hand-cut inlays are not only made with beautiful materials such as mother of pearl, the delicacy of the designs is what really captivates you as you see tens of tiny little pieces all perfectly arranged to create an equally as beautiful scene. Then, put that scene on a stunningly handmade musical instrument someone else has dedicated themselves to creating and are placing in her capable hands, and you’ll be on Wingert’s level. Wingert had a different viewpoint of woodworking than the majority of us growing up. 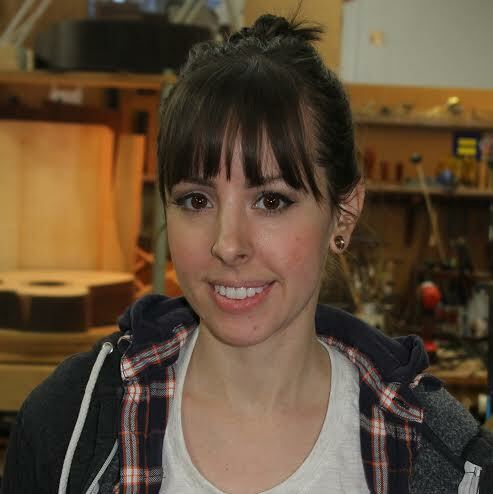 She had the opportunity to watch her mother develop her own passion for woodworking as a luthier. “I watched her build her shop, tools/jigs and career with not much more than the help of library books and determination,” says Wingert. Although she wasn’t initially taken with woodworking, Wingert credits a commissioned piece her mother received from Larry Robinson as her initial spark of inspiration. 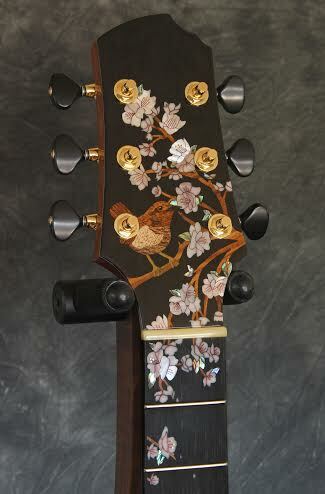 “Larry had done a beautiful inlay representation of Hokusai’s Great Wave on a fretboard. 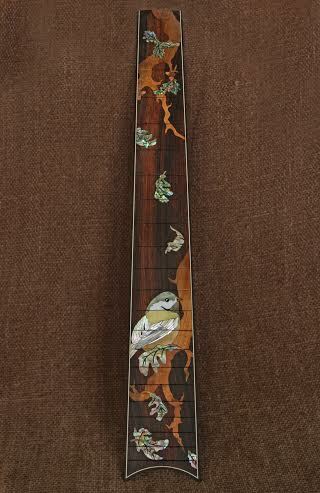 I had seen many traditional inlays before, but never had I seen an inlay that made me think of it as an art form on its own, the guitar being the canvas,” shares Wingert. She began studying Robinson’s The Art of Inlay books and videos. She worked at her craft and eventually overcame her hesitations to work on handmade guitars that already had many hours and more invested in them by others. Simply amazing work. Sometimes you don’t even realize what’s possible until you see a true master at work. I love reading these piece! Hearing about other women in woodworking, how they got their start, where they are headed… it inspires me to keep going, to keep pushing against all the rejection and blankness that im currently facing and that lays ahead of me.